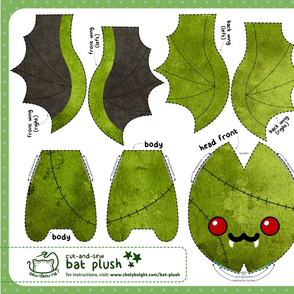 A plush bat in pieces ready to cut & sew! 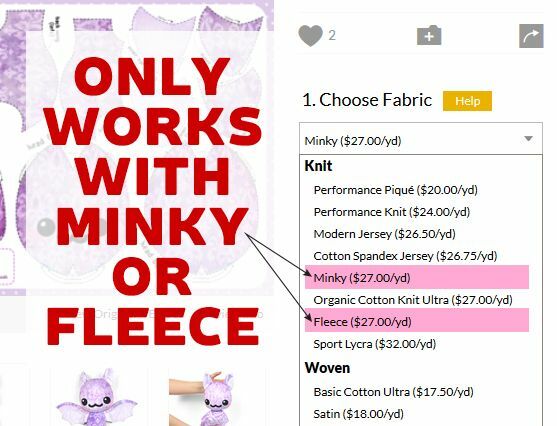 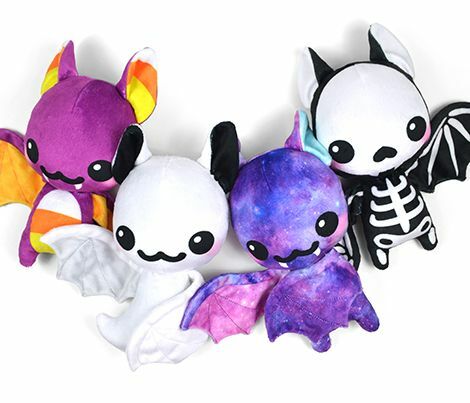 Order a yard of minky or fleece to fit all four bat designs. 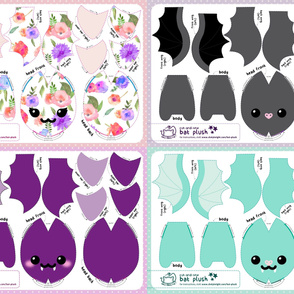 Instructions at www.cholyknight.com/bat-plush These plush bats have all the details printed and is ready to cut and sew straight from the fabric! 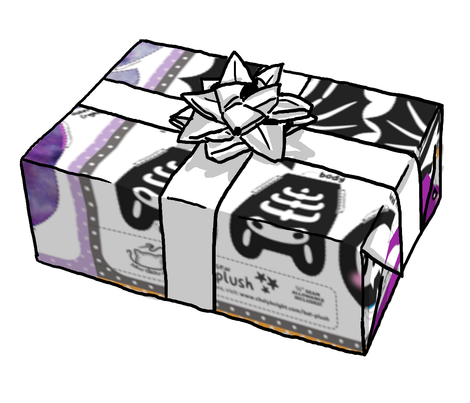 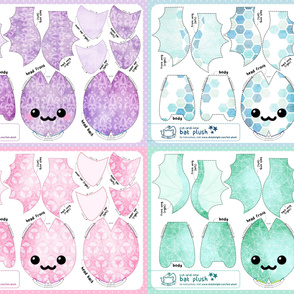 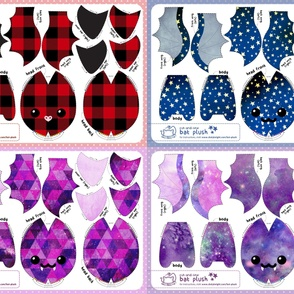 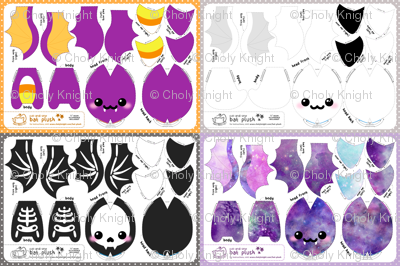 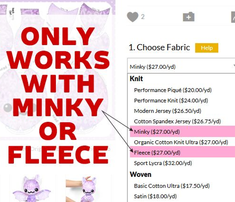 Be sure to order a full yard from minky or fleece to fit all the pieces for all 4 bat designs. 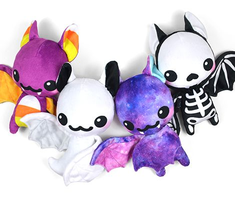 It's not a basic pillow-style plush, so for a super-detailed .pdf of instructions complete with loads of photos, visit my website: www.cholyknight.com/bat-plush. 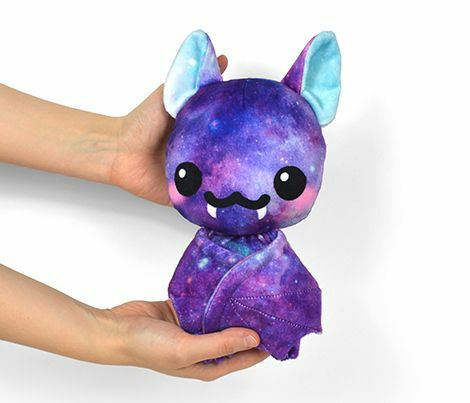 With the instructions and fabric you'll make a 10" tall bat (12" if you include the ears) with a 6" wide body (15" if you include the wingspan).